What do you see? 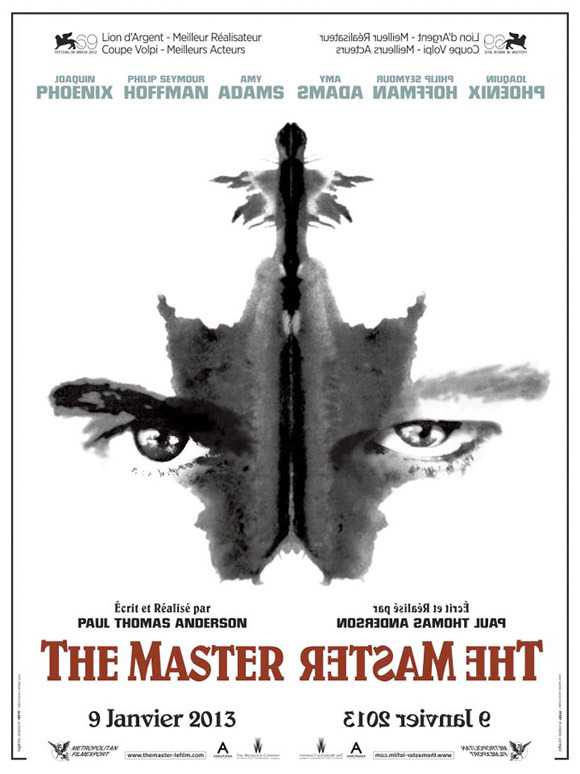 A few months back, a promo flyer for one of PTA's surprise 70mm screenings of The Master was made of a subtly beautiful bit of rorschach artwork. It made its way around the web, rightfully so because it was stunning art to see used as actual promo material. Of course, now the art has been picked up and used in France on an actual poster. The connection is in Joaquin Phoenix's character Freddie, who is given a Rorschach test at one point. Playlist has found a French poster (touting a January 2013 release) that uses the art. Brilliant. I'm sure it was another PTA creation and I'm glad to share it, because it is impressive. A 1950s-set drama centered on the relationship between a charismatic intellectual known as "the Master" whose faith-based organization begins to catch on, and a young drifter who becomes his right-hand man. Paul Thomas Anderson (the man behind films like Boogie Nights, Magnolia, There Will Be Blood) wrote and directed The Master. The film follows Lancaster Dodd (Philip Seymour Hoffman) a charismatic leader who creates a new religion in the 1950's and his main disciple (Joaquin Phoenix), an alcoholic drifter named Freddie Sutton who becomes Dodd's closest follower. 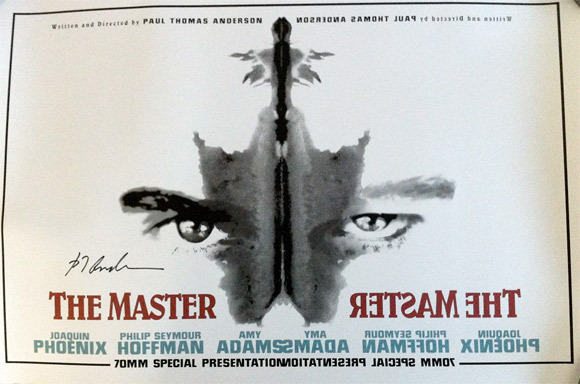 The Master has shown as surprise 70mm screenings and also played at TIFF. It is now playing in limited theaters in NY & LA, expanding wider this weekend.